Listen – First impressions of JoJo’s Bizarre Adventure Part 4: Diamond is Unbreakable from David Productions. It is streaming on Crunchyroll. Listen – First impressions of Space Patrol Luluco from Studio Trigger. It is streaming on Crunchyroll. Listen – First impressions of My Hero Academia from Bones. It is streaming on Hulu and Funimation. Listen – First impressions of Joker Game from Production I.G. It is streaming on Crunchyroll. 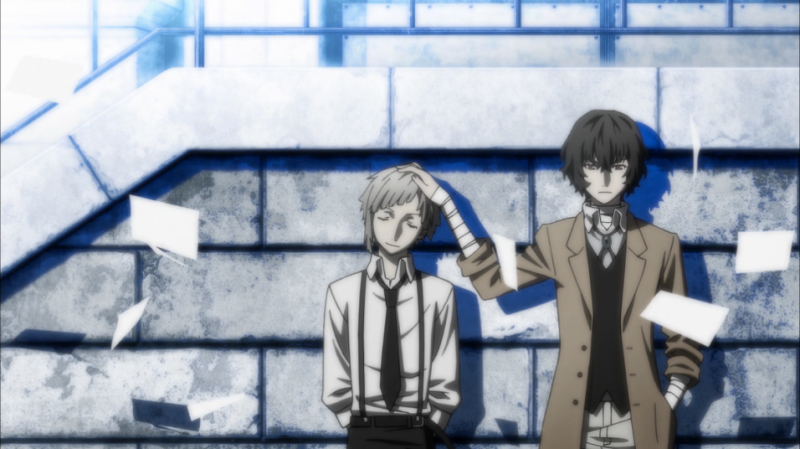 Listen – First impressions of Bungou Stray Dogs from Studio Deen. It is streaming on Crunchyroll. Listen – First impressions of Haven’t You Heard? I’m Sakamoto from Studio Deen. It is streaming on Crunchyroll. Listen – First impressions of Tanaka-kun is Always Listless from Silver Link. It is streaming on Crunchyroll. Listen – First impressions of Tonkatsu DJ Agetarou from Studio Deen. It is streaming on Crunchyroll. Listen – First impressions of Macross Delta from Satelite. Listen – First impressions of The Lost Village from Diomedia. It is streaming on Crunchyroll. Listen – First impressions of Kabenari of the Iron Fortress from Wit. It is streaming on Amazon Prime. Listen – First impressions of Kiznaiver from Studio Trigger. It is streaming on Crunchyroll. Listen – First impressions of Ace Attorney from A-1 Pictures. It is streaming on Crunchyroll. Listen – First impressions of Bakuon!! from TMS Entertainment. It is streaming on Crunchyroll. Listen – First impressions of Endride from Brain’s Base. It is streaming on Funimation. Listen – First impression of Kumamiko from Kinema Citrus. It is streaming on Funimation. I followed the Bungo Stray Dogs manga for a while and did quite enjoy it, but I haven’t read it in ages for some reason , so the start of the anime was a good occassion for me to pick up from where I had left it. The characters (and the powers) aren’t really that strongly linked to the actual persons, though there are some neat references. The suicide-thing of Dazai in Bungo Stray Dogs makes a lot more sense if you realize that the real Dazai had tried to commit suicide like four times. About the KumaMiko episode: Some kind of Grizzly punishment? Really? That was a pretty un-bear-able pun. I just felt a tremor in the force as Kate blamed me for this comment existing in the first place. I guess my bad puns have now infected the listeners. I had zero idea that these characters wee based on authors; a benefit of not reading descriptions beforehand.